Last week while speaking to a study club in Seattle the conversation came up about the effectiveness of light curing through a porcelain restoration. Effective curing is a combination of the light intensity and the duration of the cure. 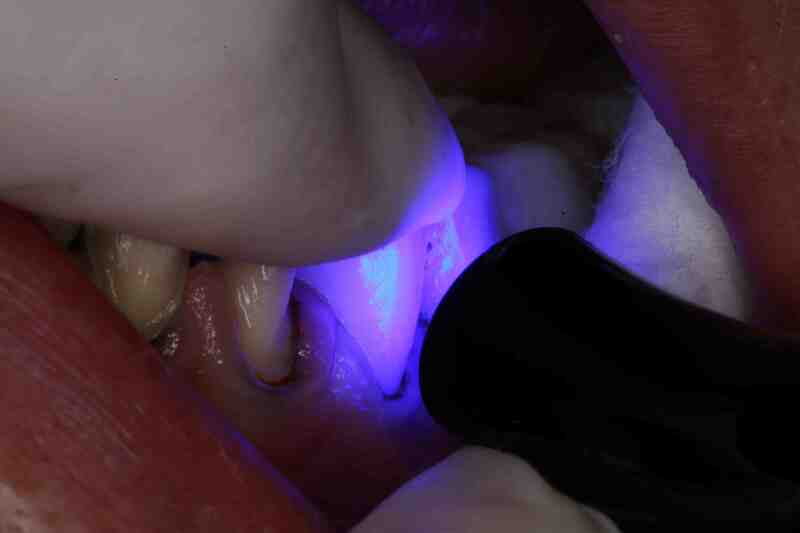 Our curing lights do penetrate through porcelain, but there are a few things we need to consider. The distance of the light source is now increased relative to the layer that is to be polymerized. Additionally, the light is now passing through porcelain, where the material properties are impacting the light intensity. Some of the things we need to think about when curing through porcelain are the thickness of the glass, the shade and the opacity. Many research studies have tried to quantify this question.Strang et al in 1987showed that dental ceramics absorb between 30-40% of the light intensity. The addition of a chemical catalyst is one way to overcome the limitations of light curing through ceramic material. The challenge with doing this is the risk of color shifting in the resin cement due to the chemical reaction. Balancing the ability to adequately polymerize the resin cement and the need for color stability has resulted in the routine use of a variety of resin cements. 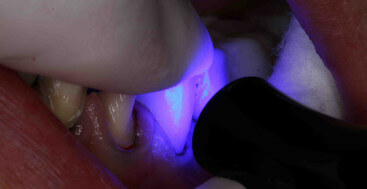 Light cure resin cements guarantee color stability in the anterior and with restorations of .3-1.5 mm in thickness utilizing a longer curing cycles will achieve complete polymerization. In the posterior where the porcelain can range from .5 to 4mm or more in thickness routinely using a dual cure resin cement creates the certainty that all of the resin will polymerize with or without light exposure., and color stability is less critical.